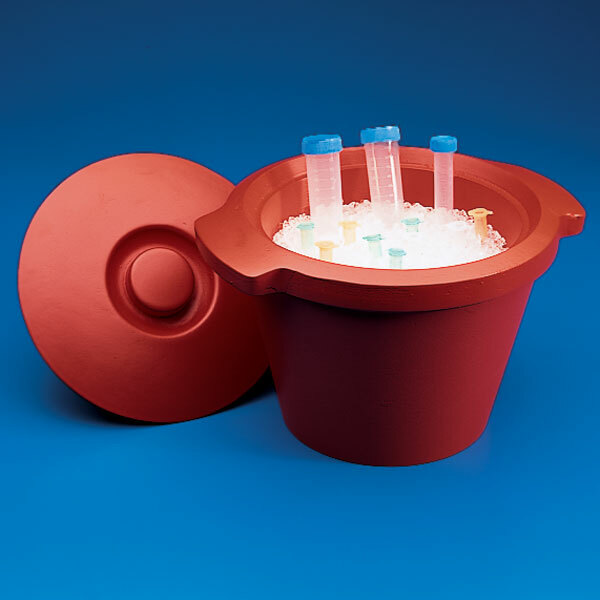 Produced from polyurethane foam, these round ice buckets are suitable for use with ice, dry ice and salt solutions. The 4.5 liter capacity is 1/2 liter larger than the competition which allows you to fill the bucket with 4 liters of solution and still be able to close the lid. The ice bucket comes equipped with a lid and two side handles.